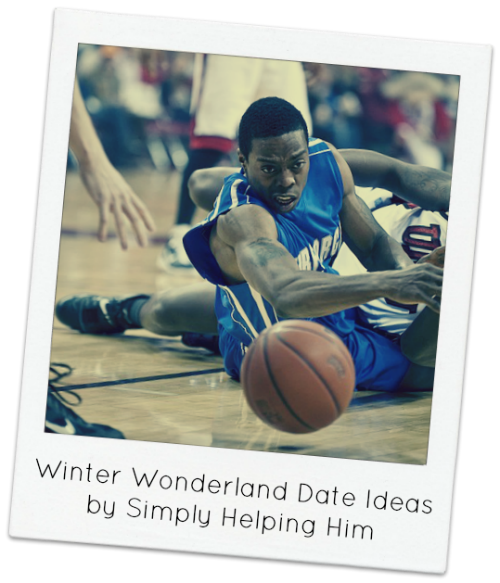 Wintertime is just around the corner and it’s time to think about winter date ideas. 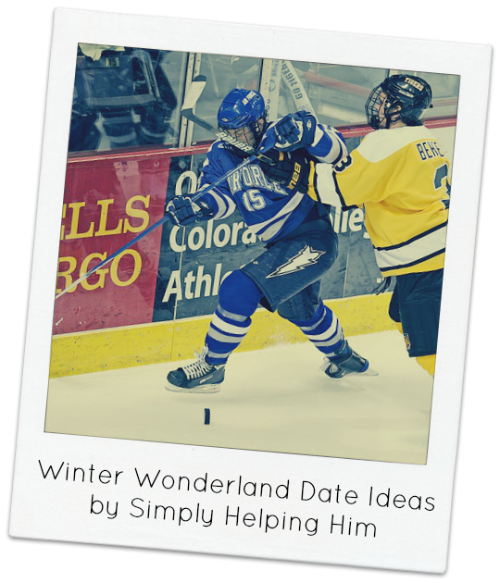 I’m not a fan of being cold, so I am including some indoor winter date ideas. 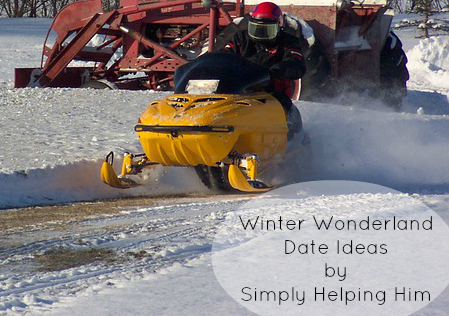 A wintertime date can be so much fun. While I prefer to stay inside avoiding the cold, I do try to go out and take part in a wintertime date or two with my husband. Remember after you freeze a bit you get to snuggle and drink hot chocolate! It kinda makes up for the being cold part. Locate your local basketball team, grab a pair of tickets and go enjoy a little bball together! You’re sure to get into the game even if it isn’t your favorite thing. Plus you’ll score big points with your hubby if he’s a sports fan! Pick up a couple pairs of skates and hit the rink. Holding hands is optional, but I’m sure you’ll find you do quite a bit of it. If you’re up north be sure to find an outdoor rink or frozen pond, freezing a bit will be worth it. If possible try and visit it at night after everyone else is gone. The roads are usually quiet and there is absolutely nothing like the lone sound of your blades on the ice. Be ready for some rough guys on the ice for this date. I’ve been told that the fights are actually rigged? This is an indoor date (yay! ), will be quite an adrenaline rusher and probably another hubby favorite. The date fun is finding a tree that is perfect for y’all’s home together. Be sure to grab some hot chocolate on the way there, so it is waiting in the car for when you’ve finally found the one. This is something that I have wanted to do, but never have had the opportunity. I’m hoping to make this a date that we do this year. 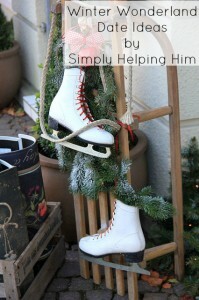 We don’t have a fake tree anymore, so it would be perfect! 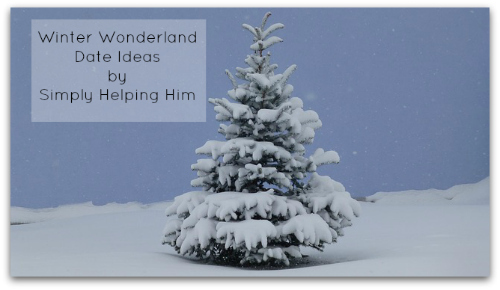 Grab a pair of sleds or a double to ride together and enjoy cruising the winter wonderland. You might even happen upon some wildlife along the way, so be sure to bring your camera. I was able to plan a weekend getaway for my husband’s birthday last year, and I rented a double sled for us to use for a day. It was a great time and probably our best weekend away in our relationship. 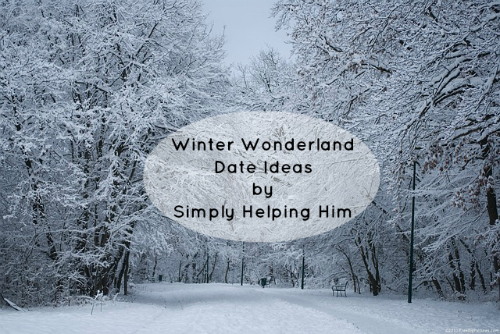 I’m always looking for new winter date ideas. Please share your favorites with me. Now if only we had a snow-mobile! Lol well at least you have a really good outlook on it hun We recently spent the day as a family moving snow around. It was nice to work together as a family, and we even mixed in a bit of fun too! Blessings hun! Great ideas! With it being cold outside I tend to think of indoor activities for dates. Perhaps this will get me thinking “outside the box.” Thanks! Cold drives me inside too, but it’s nice to get out in the crisp air once in a while. Have a great, fun filled winter! Great ideas. I do have to say that I find myself really lucky that my hubs is NOT a sports fan as neither am I, but my youngest son is. Might have to jot a basketball game down for Momma & son night. We (hubs and I) have plans to go see Saving Mr. Banks in the theater. For our one-income family, a date at the movies is a rarity and I’m giggling with excitement! I took my son to see the Harlem Globetrotters last year for his birthday. I love sports live, not so much on TV though. Hubby and I don’t often go to the movies either We usually wait for things to come to redbox Have a great time hun! Hi, These are some ideas I hadn’t thought of before. Thanks! You’re very welcome! Have a great winter full of fun dates! These are some really good date ideas. My mom and Dad both use to tell me about their snowboarding dates and how much they loved them (mind you my parents were divorced when I was two years old, and they weren’t even with me at the same time when they would share these details with me.) They stated that was the one thing that helped them stay bonded for as long as they were. That is such a sweet memory that they have and that they shared with you. I hope you have a wonderful winter with fun filled dates!